Many Wineries have hitching rails, so that small groups of 2-5 riders can ride up & visit. Most DO NOT allow parking of rigs, unless special approval has been granted beforehand. Horseback riders & parked rigs may interfere with winery events like weddings, concerts & special events. If you are riding up, dispose of manure per the winery's requirements. Wineries that allow staging rigs may have rules about the time you are supposed to pull out. PLEASE take your manure home with you in your trailer, if you are granted permission to park at a winery. Monitor tied horses, this is a posted REQUIREMENT at all of the rails. No outside alcohol is allowed. 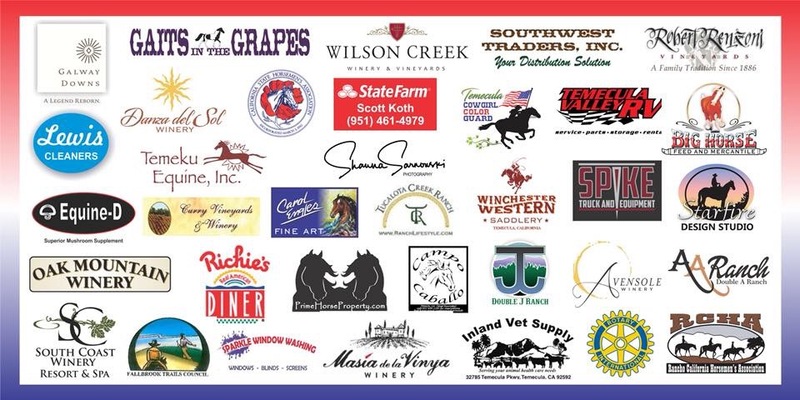 Please respect the Wine Country property, trails & equestrian riding privileges that we locals, like the Temecula Eq-Wine Riders, have cultivated over the years. We work hard to protect Wine Country's trails, maintaining good relations between ourselves, property owners, wineries & our HORSES. Thank you, RIDE SAFE!